Nathan Bright is the weatherman of a news station on a terraformed section of Mars colonized by humans. Things are going pretty great for him, though Mars is still recovering from a terrorist attack that killed countless years ago. This last detail will soon become far more relevant to Nathan when a group of mercenaries suddenly target Nathan. 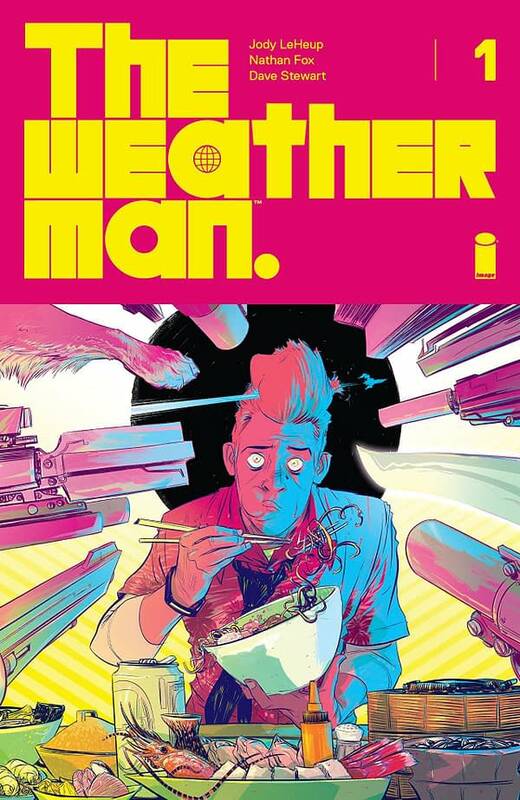 Weatherman #1 pulls off the cocky, smooth-talking, yet charming newsman quite well. This is a hard thing to do, as it starts from the standpoint that you should not like this character and then must convince you that he is in fact charming. 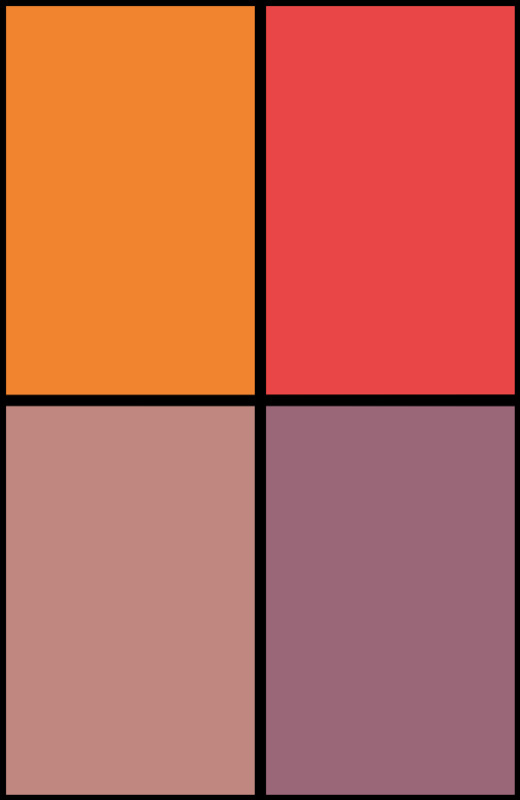 The comic achieves it through two primary things it does right. The first is that it downplays the womanizer trait of the character. The only thing he does is make a lewd joke on television to no one in particular and vaguely hit on a coworker. The second thing it does right is have Nathan absolutely gush over his dog. This emotionally grounds him in something that the reader can relate to, and it’s not just played for awkward laughs like Anchorman. Nathan genuinely loves this dog, and it helps the comic work. That should be it. The premise is stable, and the protagonist is likable. The job should be done, but the comic does make one mistake towards the end that pulled me out for a second. I won’t spoil the specifics, but it’s a hackneyed move that is played badly. It’s followed-up by a solid action scene, but it still took me out of the comic for a bit. Nathan Fox contributes some charmingly cartoonish artwork to the comic. Character detailing is reduced to what is necessary for distinction, and that works. The world is fleshed-out well by contrast, and the environmental design looks good. The color art of Dave Stewart is bright and vibrant, adding that extra layer of personality to the book. Weatherman #1 is mostly a great comic. That one scene aside, I quite enjoyed the book and its characters. The premise is strange in a lot of ways, but I like it. Despite its flaws, this one earns a recommendation. Check it out tomorrow.